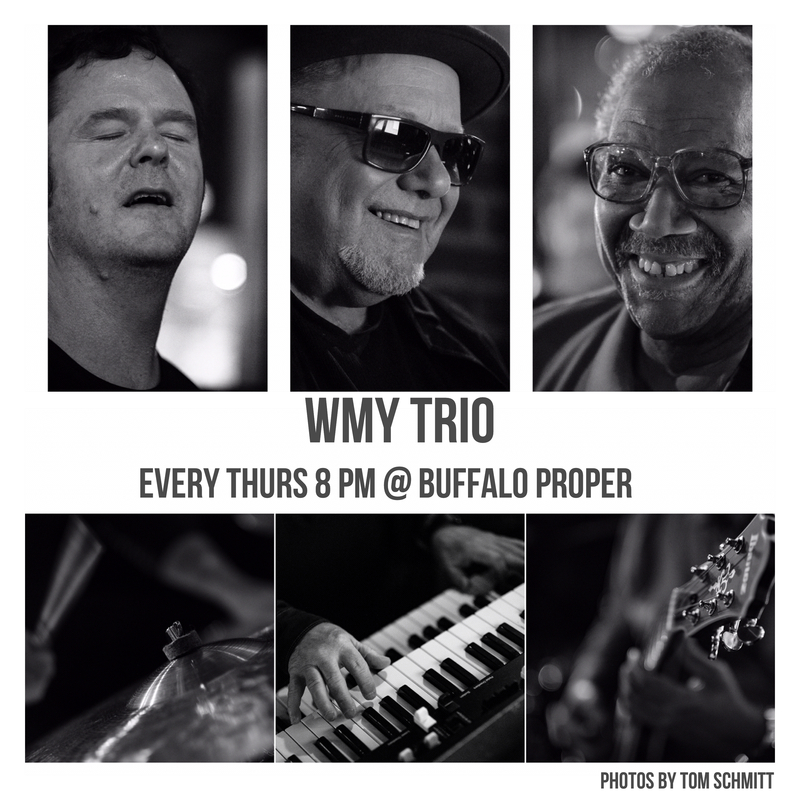 WMY Trio at Buffalo Proper with David Wasik on drums, Greg Millar on guitar and Gerry Youngman on organ. A classic organ trio performs weekly at a hip cocktail bar/restaurant. Inspirations include Grant Green, Larry Young and some rarely performed classics from the 60’s.